We continue with purple garlic nutrition tasks. 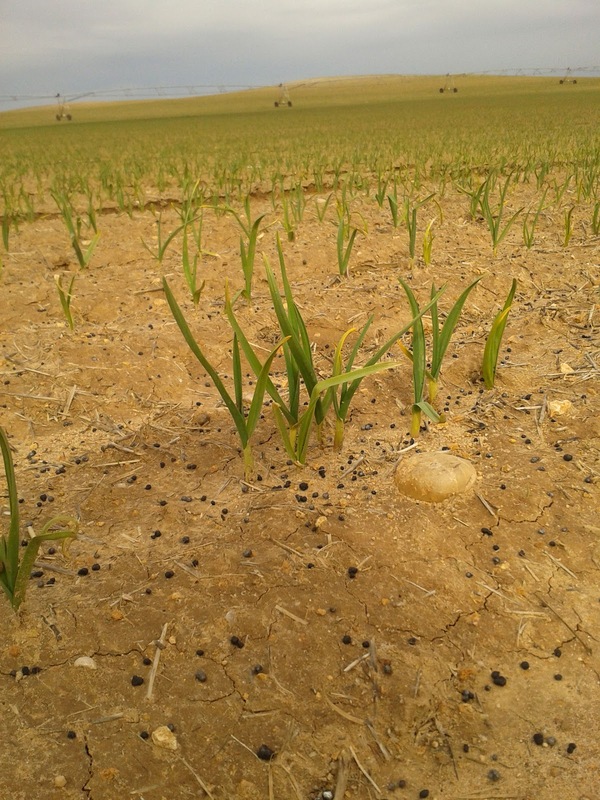 The first time we performed a nutrition task was before sowing and now, once all of the garlic have germinated, we spread the second dose. At this time we have to mention that it is a large dose: 450kg/ha of fertilizer. The morning began bad because it rained so we had to cover our trailers with canvas... at the end, we could finish our task without problems. 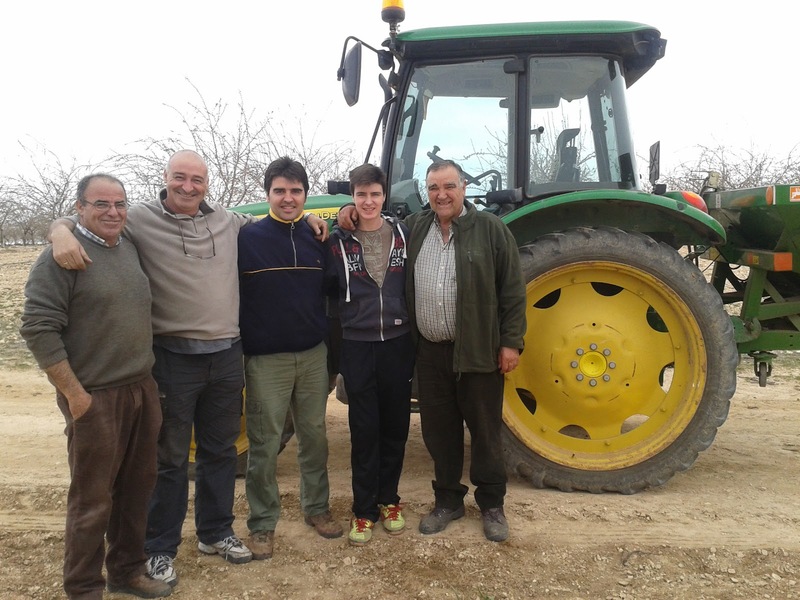 It was funny to see as our partners Aquilino y Jesús filled the spreader manually using an ancient tool called "media fanega" while we did the same job with our endless belt which was fixed in our trailer. Regarding the machinery used, we are not going to say anything about that again because we have spoken about that many times. Simply, we would like to highlight Amazone spreaders worked very fine one more time because the fertilizer was distributed on soil perfectly as you can see in our pictures. How about your Easter? I think this week has been a little strange because of the fests. I find really important this nutrition task, I would like to know what are the most important benefits of this job. I suppose that is for increasing the garlic size, improving the health or the garlic quality... . Could you detail the benefits? probably the benefits would be a mix of them. ¿Qué tal la semana santa? Creo que esta semana ha sido un poco liosa para vuestros seguidores por las fiestas. Creo que es realmente importante esta tarea de nutricción. Pero me gustaría saber cuales son los beneficios a destacar de este trabajo. Me imagino que puede ser para incrementar el tamaño del ajo, mejorar la calidad o la salud de estos ajos. ¿Podrías detallar los beneficios? probablemente será para una mezcla de los beneficios anteriores. Hola MCC. Muchas gracias por tu comentario. Los beneficiones son, principalmente, en el tamaño del ajo. Hi MCC. Thanks for your comment again!! The most important benefits of this job is for increasing the garlic size.